We live in a hi-tech world where even the simple act of reading can depend on electronic devices. You catch the news on your mobile or tablet; reading for pleasure might mean a Kindle; and longer articles perhaps become ‘TL;DR’ because of service interruption. Imagine the pleasure then, of a picking up a book. 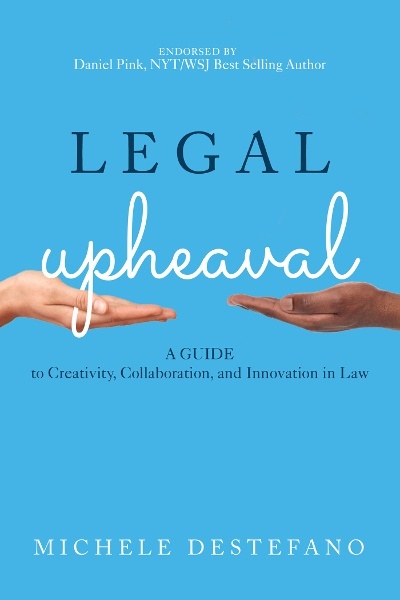 Michele DeStefano’s 2018 hardback has been a constant travel companion and physical reminder of the nebulous world of legal innovation. Looking for a coffee table book? 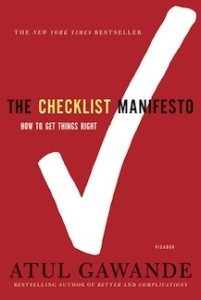 Having just finished reading Atul Gawande's The Checklist Manifesto, it was a pleasant surprise to see a post about the book and its application to KM on the Knowledge & Innovation blog.